As a life-long 'Shred' guitar enthusiast, I'll be the first to admit that I've often found myself in search of the latest and greatest axemen, particularly during the strains of my extraordinarily misspent youth. Having initially immersed myself amid a steady diet of Michael Angelo Batio (the Nitro debut O.F.R. ), Steve Vai (Flex-Able and Passion And Warfare) and Yngwie Malmsteen (Trilogy), my thirst for new and un(der)explored tonalities had reached a near fever pitch. 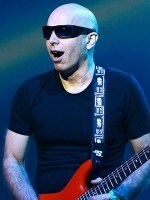 Accordingly, when I found myself in possession of a copy of the ingenious Flying In A Blue Dream (1989) from guitarist extraordinaire Joe Satriani, I was intrigued by his fleet-fingered brilliance. Propelled throughout by an array of uniquely eclectic material (“I Believe”, “Strange” and “The Phone Call” serve as ideal examples), it propelled the former instructor to the dizzying height of international acclaim. Now, nearly three decades later, I am again truly fascinated with the highly-anticipated release of What Happens Next. On the brilliant What Happens Next (2018), an expertly assembled twelve song collection of instrumental Hard Rock and Heavy Metal, each track, beginning with the relentlessly pummeling (and, not surprisingly, delightfully energetic) “Energy” and the awkwardly-titled--albeit swaggering--exercise in mysticism “Thunder High On The Mountain”, immediately commands the rapt and undivided attention of all parties involved, myself most definitely included. 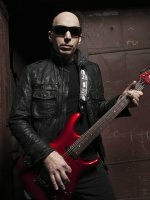 Boldly improving upon both Shockwave Supernova (2015) and Unstoppable Momentum (2013), Satriani wastes little--if any--time driving home each key focal point with the depth-defying riffs and solos that have personified the entirety of his career. Effectively reminding us all of his rightful place amid the hierarchy of 'guitar legends', the initial sonic excursions, while not necessarily groundbreaking and far from revolutionary, lay the foundation for the latest chapter in the guitarist's indescribably in-depth discography. 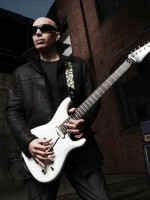 Continuing with the emotionally-wrought lament “Cherry Blossoms” and the glistening, quasi-fist-pumping “Smooth Soul”, the steadfast--to say the very least--combination of guitarist Joe Satriani, bassist Glenn Hughes (Black Sabbath, Hughes-Thrall, Deep Purple) and drummer Chad Smith (Chickenfoot, Kid Rock, Red Hot Chili Peppers) steamroll ahead with what can only be described as a carefully-calculated ease. Flexing his more than considerable creative muscles early and often, the guitarist drives home each key focal point without, believe it or not, burying the proverbial average listener amid the mind-numbing wankage so often employed by his few would-be contemporaries. Remaining reminiscent of his earliest successes without borrowing too heavily from the past (i.e. evolving and moving forward and acknowledging the past without inadvertently becoming an all-too-comfortable 'nostalgia act'), the resulting ruminations are fraught with the sorely-missed intensities of yore. Co-Produced and Mixed by the oft-acclaimed Mike Fraser (AC/DC, Mötley Crüe, Poison), other standouts, including the self-explanatory--and undeniably Hughes-infused--Funk explorations “Super Funky Badass” and the smoldering, equally impressive closer “Forever And Ever”, only serve to further solidify the guitarist and former instructor's ironclad reputations as a creative and commercial force not to be ignored. 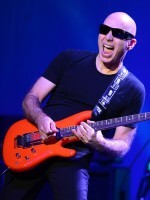 What ultimately separates the mighty Satriani from the veritable wealth of would-be imitators is his well-documented repeatedly submerging the listener to his now trademark sonic wizardries. 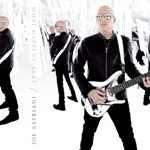 Easily the most highly-anticipated instrumental album of the new year, Satriani delivers the goods with the precision we've all become accustomed to. While it may appear that we're late to the game with our unabashed admiration of What Happens Next, the axeman's blistering histrionics remain an auditory benchmark for those following in his more-than-considerable footsteps. But is it really that good? Absolutely! Undoubtedly the notoriously prolific guitarist's most accessible efforts to date (arguably 'on par' with the Grammy-winning Surfing With The Alien, the previously-mentioned Flying In A Blue Dream and the “Summer Song”-fueled monster The Extremist), the majority--if not all--of the decidedly masterful wares contained herein are seemingly guaranteed to leave both die-hard Satch/Shred completists and clueless newcomers alike only wanting for more. 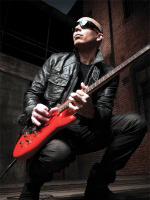 Even if you somehow find yourself yearning for the alien alter ego that dominated Shockwave Supernova (2015), one must, at the very least, sincerely admire Satriani's ability to continuously re-cuspidate his already razor-sharp chops. Accordingly, if you've once again found yourself in search of an awe-inspiring reprieve from the painfully mindless din and clatter that is so often the mainstream, then this, my friends, might just be the high octane salve for what ails you. Trust me, you won't be disappointed.